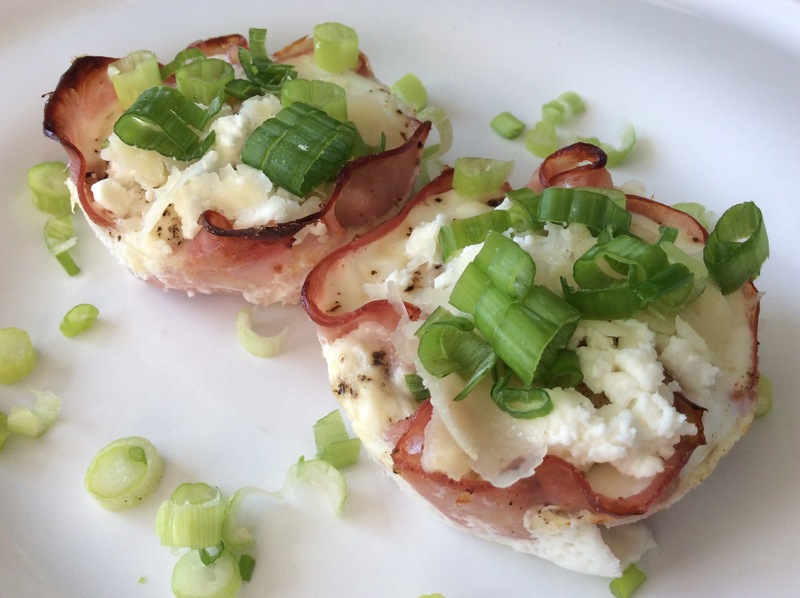 If you’re ever looking for an easy brunch item to feed a group, or just want a quick breakfast that is as beautiful as it is tasty, these cheesy ham and egg cups are perfect! They take minutes to assemble, and just 12 minutes to cook. They look much fancier and labor intensive than they really are. The ingredients above are all that you need. 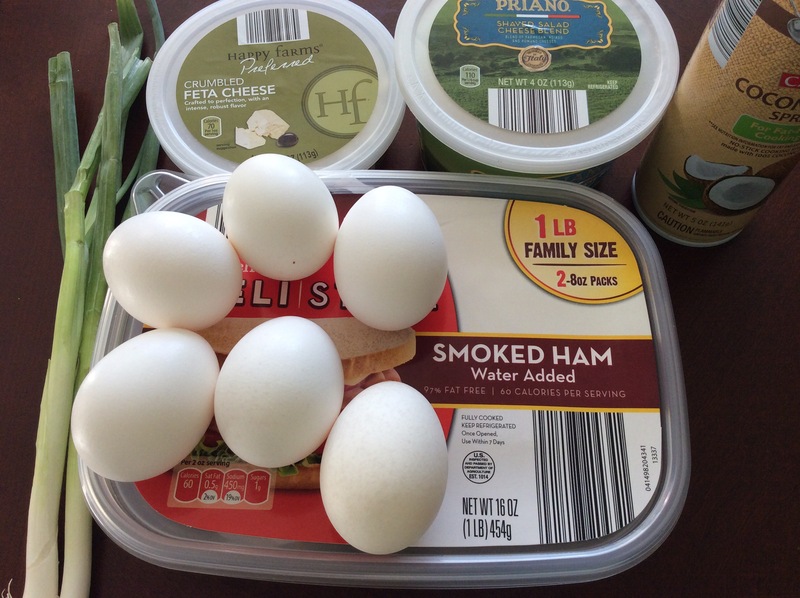 Any cheese you have on hand will work, and if you want to make a quick hollandaise sauce, that would be great as well! The first step is to spray the pan with non-stick spray, then place a piece of ham in each cup, crack an egg in, and salt and pepper to taste. 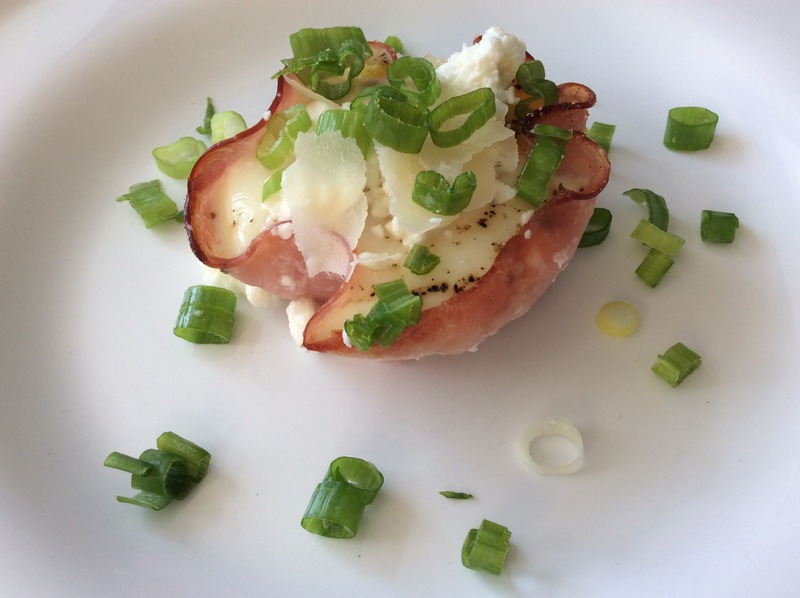 Bake at 400 degrees for 12 minutes, then top with cheese and scallions. I love runny eggs, so 12 minutes is perfect for me. If you like, you can cook your cups for a few minutes longer if you want them to be more solid. They’re easy to scoop out with a spoon to serve. They really are pretty little packages of deliciousness! 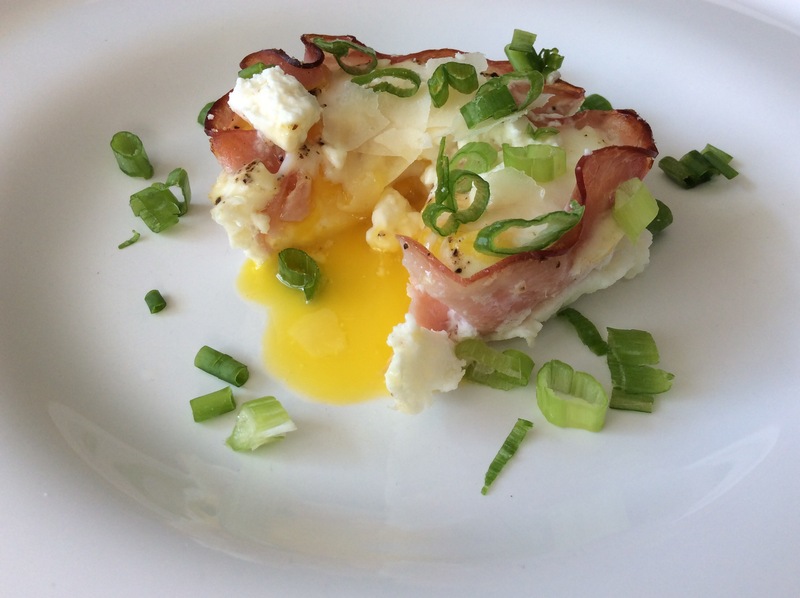 When you slice into it, all that golden, yummy yolk comes pouring out. So pretty! Hope you enjoy!